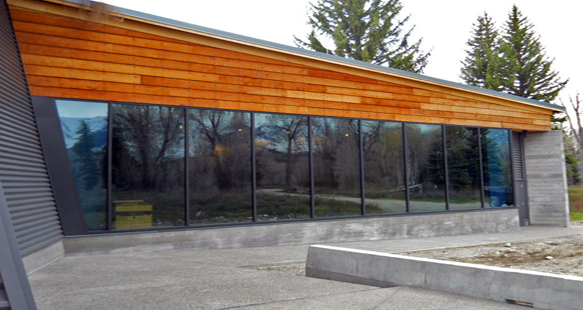 The 3,600 sf, 154-seat Craig Thomas Discovery and Visitor Center auditorium opened in the spring of 2011. 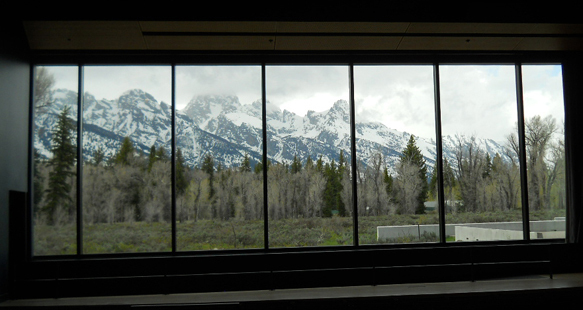 The auditorium has a large window hidden behind a theatrical curtain and a retractable projection screen that reveals the spectacular Teton Range at the conclusion of the regularly scheduled film. During a lecture or conference, the window provides a scenic backdrop. As Jackson Hole’s first high definition theater, the facility offers tremendous flexibility through its projection, lighting, and surround-sound system. 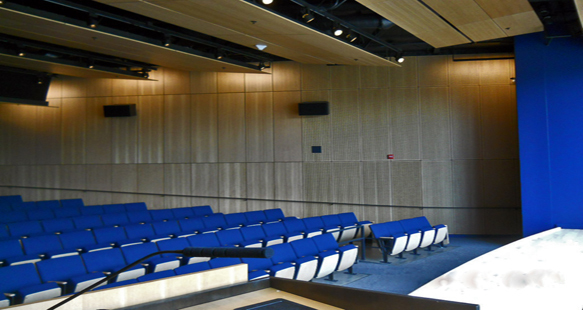 The venue accommodates a variety of presentation formats, including digital film and slide shows, and a caption system assists hearing-impaired visitors. Recycled, sustainable, and energy-efficient materials are all incorporated into the project.